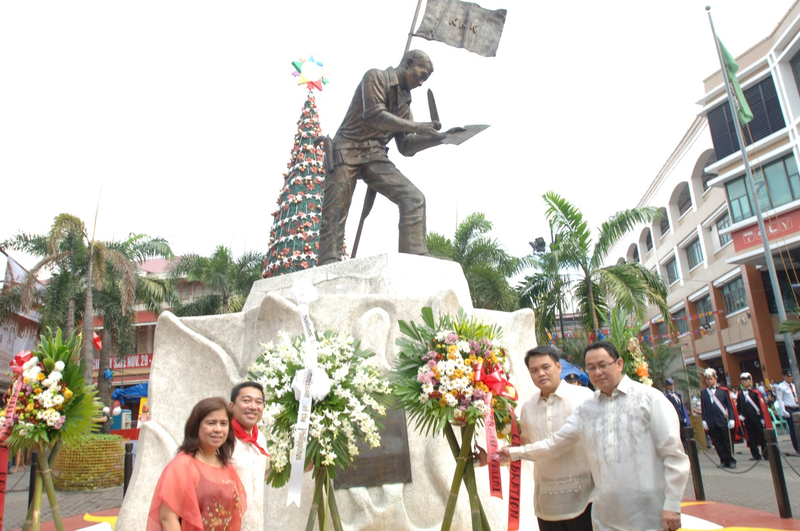 Tutuban Center joins the celebration of Gat Andres’ 150th birth anniversary—The spirit of courage and selflessness of a genuine hero lives on through this modern generation as Tutuban Center, the country’s top bargain-shopping hub, commemorated the 150th birth anniversary of Gat Andres Bonifacio with a solemn yet meaningful wreath-laying ceremony held at the Bonifacio Plaza in front of Tutuban Center. Held every 30th of November, this year’s Bonifacio Day is deemed a very special day this 2013 as Filipinos celebrate the hero’s 150th birthday amid challenges and other difficulties that test the nation’s resolve, resiliency and ability to rise and be united as a country. 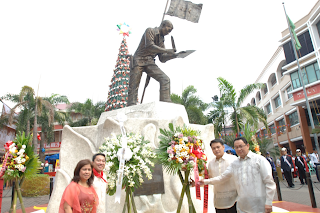 The paying of respects to Andres Bonifacio for his heroism and valuable contributions to the country’s independence was led by no less than Tutuban Center officials and top executives of Tutuban Properties, Inc. (TPI), the developer of the popular shopping destination. Joining them in the wreath-laying ceremony were officials of the City of Manila, the National Historical Institute of the Philippines (NHIP), the Manila Police Department and Philippine National Railways (PNR). Shown in photo during the ceremony were Ms. Carmina R. Arevalo, National Historical Institute of the Philippines’ deputy executive director for Administration; Hon. Councilor Dennis B. Alcoreza, 1st District, Todo Lungsod ng Maynila; Mr. Kits R. Aquino, Tutuban Properties, Inc.’s SVP-General Manager and Mr. Chris C. Sioson, Tutuban Properties, Inc.’s Manager-Building Administration.